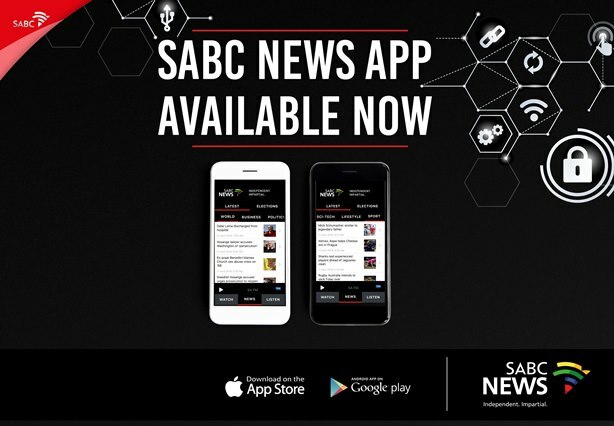 SABC launches its News app - SABC News - Breaking news, special reports, world, business, sport coverage of all South African current events. Africa's news leader. The South African Broadcasting Corporation (SABC) on Friday introduced a new mobile tool, the SABC News app, to expand its content distribution platforms. This mobile app is also aimed at reaching out to a younger market and audiences beyond South Africa. The SABC’s Group Chief Executive Officer (GCEO) Madoda Mxakwe says, “We are very proud to have taken yet another step in positioning the SABC within the multi-platform and multi-device broadcasting environment. Most importantly, this initiative indicates our ongoing resolve to provide comprehensive universal news and information service and access to the South African public. As the only public service broadcaster in the country, we have an enormous task to deliver an important social service to all citizens wherever they are. The SABC News app serves as a perfect platform to reach audiences who are on the move and not only relying on traditional media platforms such TV and radio”. Maxakwe has noted the importance of this app coming just a few week before the 8 May general elections. “I would also like to extend my gratitude to the cross-functional teams that worked tirelessly and diligently to deliver this project”. This entry was posted on 12 Apr 2019,02:05PM at 2:05 PM and is filed under Sci-tech, News, Homepage Featured Story Slider. You can follow any responses to this entry through the RSS 2.0 feed. Both comments and pings are currently closed.